The Middle East relies on the experience from matured market professionals to drive their booming economy. Their rich natural resources and increased investment in other industries has provided the platform for this region to be a key player in the world global economy in years to come. Coupled with the exuberant lifestyle, temperate climate, high salaries and no income tax, it is a destination looked upon favourably by expatriate workers. To work in any of the seven Emirates viz. Abu Dhabi, Dubai, Sharjah, Ajman, Fujairah, Ras al-Khaimah, and Umm al-Qaiwain, an expat must get a work contract or a valid job offer before initiating the visa application process. Citizens of Australia, New Zealand, United Kingdom, Canada and the United States of America are entitled to a 30-day or 90-day Visit Visa, which can be paid upon arrival. This visa allows you to seek jobs and apply for suitable positions. Once you receive an offer of employment, your employer initiates the visa procedure by putting in a request at the Immigration Department. Your credentials are authenticated by the Ministry of Foreign Affairs and the Embassy of the UAE in your home country. 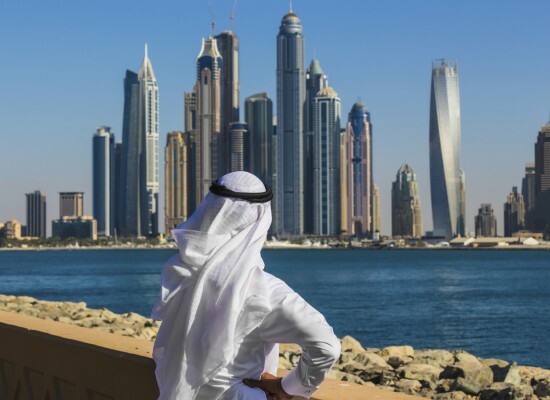 A multiple-entry visa, the work visa in UAE allows the foreign worker to leave and re-enter the country anytime without additional formalities. Contracts in the UAE are usually for two years, and can be extended by mutual agreement. 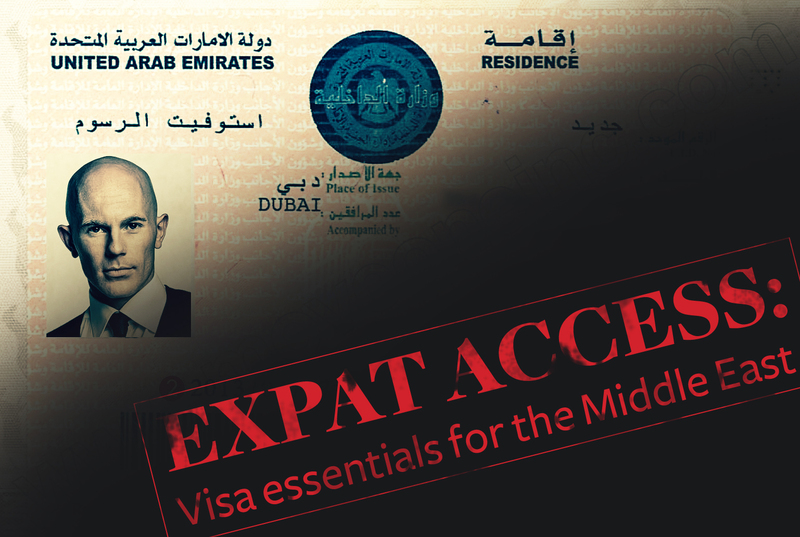 Once the contract is validated, the expat receives a labor card which can be used to apply for a residence visa – which is a mandatory requirement for expats planning to settle in Dubai. The majority of employment contracts in the UAE are ‘single-status’; this means your spouse and/ or family cannot accompany you to the UAE. 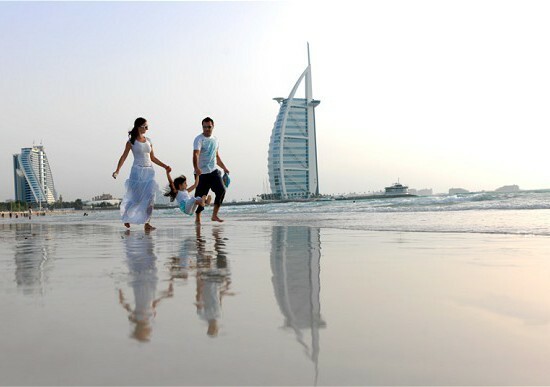 However, there are visa options available for sponsoring spouses and children to live in the UAE as well. The expat retirement age is 65 where you will find it difficult to obtain a company to sponsor you after this age. If you leave the company of employment, your current visa will be cancelled, and you will have to get a new residency permit from the new employer (also sponsoring your visa). For foreign employees working in the Jebel Ali Free Zone, Dubai Internet City, Media City, Knowledge Village, Healthcare City, or the Dubai Airport Free Zone, the respective authority will process your visa directly through the Immigration Department, without having to get employment approval from the Ministry of Labor. The free zone is actually the sponsor in this case, so when you switch jobs to another employer within the zone, you won’t be switching sponsors. This speeds up the process significantly, and residency permits can sometimes be granted in a matter of hours. A free zone residency permit is valid for three years, and the labor card for either one or three years, depending on the free zone. Want to find out more about moving your career to the UAE? Read ‘The Middle East Jobs Market Update’ and learn more about this fascinating expatriate location! If you are intending to apply for a work visa in Saudi Arabia (also known as an Iqama) you can expect the process to take up to 6 to 8 weeks. Prior to application of an expatriate’s visa, the Saudi Arabian Cultural Mission will verify credentials and stamp them with proof of authenticity. This process alone takes 2-4 weeks to complete. The visa application cannot be submitted to the Saudi Embassy without this crucial step being completed. Signed Saudi Embassy Authorization Memo allowing the Royal Embassy of Saudi Arabia to verify your professional credentials with your schools, past employers and licensing bodies, etc. With an effort to reduce the reliance of the expatriate workforce (over 90% of the private sector are expatriates) Saudi Arabia has attempted to introduce more nationals, a process dubbed ‘Saudisation.’ This is why the retirement age is at 60 for expatriate workers and not specified for nationals. If you have read about fears many expatriates are now without jobs, these concerns and fears are largely overhyped as the need for expatriate workers will continually remain in demand. Want to find out more about moving your career to Saudi Arabia? Read ‘The Middle East Jobs Market Update’ and learn more about this fascinating expatriate location! Expatriates can work in Qatar only once they have obtained a valid residence permit in addition to a work visa. Only a ‘sponsor’ i.e. a local employer can initiate the work visa application with a request to the Ministry of Interior of Qatar. The sponsor will also vouch for the foreign worker when they need to open a bank account or to sign a rental lease. Once the visa procedure has commenced, the expat must travel to Qatar with a single-entry visa, valid for a minimum of 3 months. This is needed for all the administrative procedures. An expat has to work for their original sponsor for a minimum of two years after entering Qatar. After this period, the employer must provide an NOC (No-Objection Certificate) in case you wish to change jobs. Sponsorship of visas cannot be transferred unless the new employer has received your NOC. In case a foreign worker needs to leave Qatar temporarily, they will also require an exit visa. Want to find out more about moving your career to Qatar? Read ‘The Middle East Jobs Market Update’ and learn more about this fascinating expatriate location! Like Qatar, an employment visa for expatriates in Oman is only granted at the request of a local sponsor. 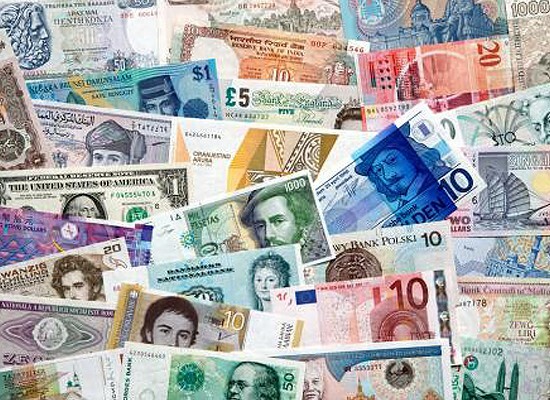 The visa is valid for just three months from the date of issuance. However, the visa is valid for extension and multiple entries for a fee of 20 Oman Riyals. Similar to Qatar, to switch jobs, an expat must have a release letter from their former sponsor which has been duly approved by the Directorate General of Labor. An Employment Contracting Visa may be granted to an expatriate whose work requires undergoing primary tests by government bodies. This visa is further subject to the primary sponsor (employer) presenting approval from the government entity. Employment Contracting Visa to Oman is valid for use for two months from the date of issuance, and allows the expatriate a one-month stay from the date of entry. Want to find out more about moving your career to Oman? Read ‘The Middle East Jobs Market Update’ and learn more about this fascinating expatriate location! 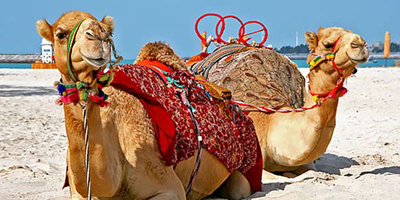 Processing time for Kuwait visas can run up to 3 weeks, depending on the approvals received. An expedited service can be requested under certain circumstances, at the discretion of the consulate. The above information should help you to make a more informed decision about which destinations you would be most interested in relocating to, and which of these locations you are able to relocate to. Understanding the visa requirements of a country before relocating is essential and pre-planning is vital if issues and time delays are to be avoided. Don’t let yourself get caught out by ensuring you have followed the above guide. Be sure to speak to any potential employer about visa requirements as they should know exactly what is needed to ensure a seamless application and relocation is carried out. Want to find out more about moving your career to Kuwait? Read ‘The Middle East Jobs Market Update’ and learn more about this fascinating expatriate location!